Music always seems to get my son dancing. He loves instrumentals the most. He sways his body, bobs his head and gets his hands going crazy. With that in mind I wanted to see if there was music that would make him sleepy. I wondered if he would just dance as always or would there be a tune that could lull my sweet dancing boy to sleep. When we were given the opportunity to from Shushybye.com review a copy of Shushybye and Goodnight: The Deluxe Edition I thought wonderful I can see if he will fall asleep to music. Just as I suspected he danced his little heart out to the first few songs. He liked the intro song, he shook his hands around like an animal! Snoozles in My Room, song number 9 made me laugh, not too sure why it just cracked me up. After dancing to all 14 songs before it finally came two songs, A Shushybye Lullaby and A Shushybye Prayer that he indeed did enjoy to sooth him. I do have to add there is one song that I did not enjoy. Number 13 on the CD titled How I Love To Play (With My Shushybye Toys) made me a little upset. The song seemed to push that a kid needs to have all the Shushybye toys to be happy and play. I get that its marketing I just dont really like that it was made into a song for the CD. Other than that song it was a fun CD that a child would enjoy dancing to. 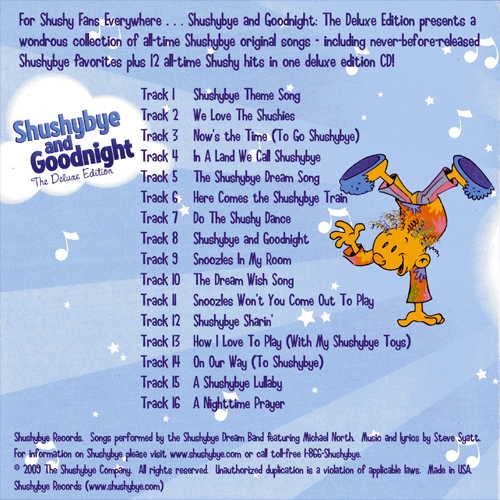 You can buy a copy of Shushybye and Goodnight: The Deluxe Edition at their website for $8.99. 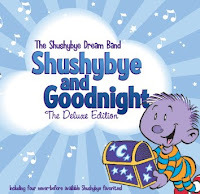 In honor of my son's 1st birthday Shushybye has agreed to send one of my lucky readers a copy Shushybye and Goodnight: The Deluxe Edition CD. *Limited to US residents; 18 years old and above. Giveaway starts November 21, 2010 and ends December 5, 2010 at midnight PST. Winner will be emailed and has 48 hours to respond before another winner is selected. I was not paid for this giveaway or post. 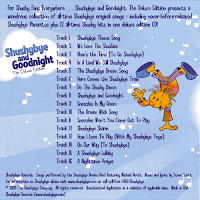 I was provided a free copy of the CD Shushybye and Goodnight: The Deluxe Edition to review. I like Shushybye on Facebook.